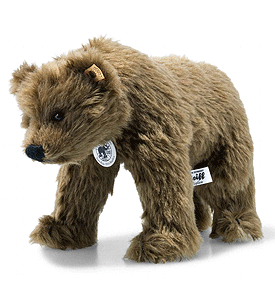 Replica 1914 Shaggy Bear by Steiff is hand made in beautiful dark brown mohair. This very special piece, displays the white ear tag, together with the famous, patinated steel underscored Button in Ear just like the original. Limited edition of only 914 pieces worldwide.